Since we came out with the Cry Baby® 105Q Bass Wah, it’s been the #1 choice for bass players who want to sweeten up their grooves with the rich expressiveness that only a a Cry Baby Wah can deliver. With a specially designed potentiometer and custom EQ circuitry, the 105Q applies the wah effect to the mids and highs only, leaving your low end big, full, and round. We took all that funk and functionality that made the 105Q the go-to for the world’s top bass players, and we put it into a housing that’s half the size and made from lightweight-but-sturdy-aluminum. The Cry Baby Bass Mini Wah may be small, but it doesn’t skip on a single detail. 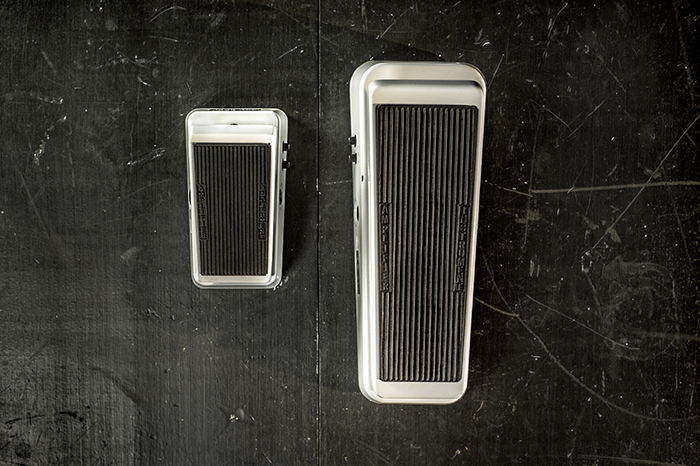 Just like the 105Q, the Bass Mini Wah has Volume and Q controls to fine-tune your wah sound. Stepping in and out of the wah effect to sweeten up fills and solos is simple and seamless thanks to convenient auto-return switching. Players of downtuned and extended range guitars, take note—this little beast will sound great with your rig, too. 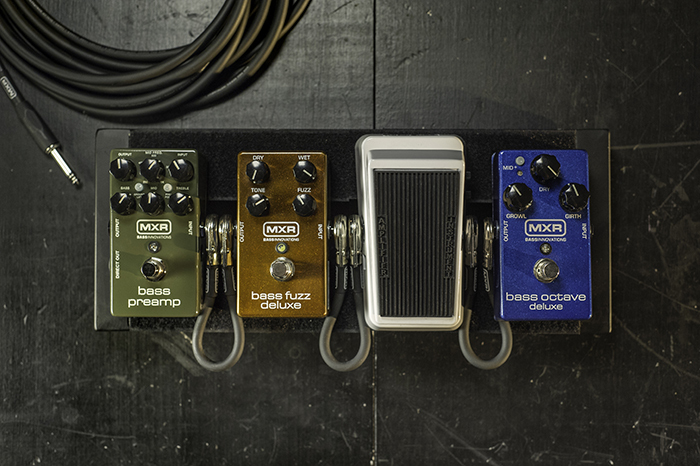 We picked out four effects to stick on this Pedaltrain Nano board—the MXR Bass Octave Deluxe, the Cry Baby Bass Mini Wah, the MXR Bass Fuzz Deluxe, and the MXR Bass Preamp—that will cover your tonal and utilitarian needs while still allowing you to travel light. The first three effects take you all over the musical landscape, from funk and R&B to hard rock and heavy metal, while the Bass Preamp lets you shape your overall sound and run your signal direct to FOH. 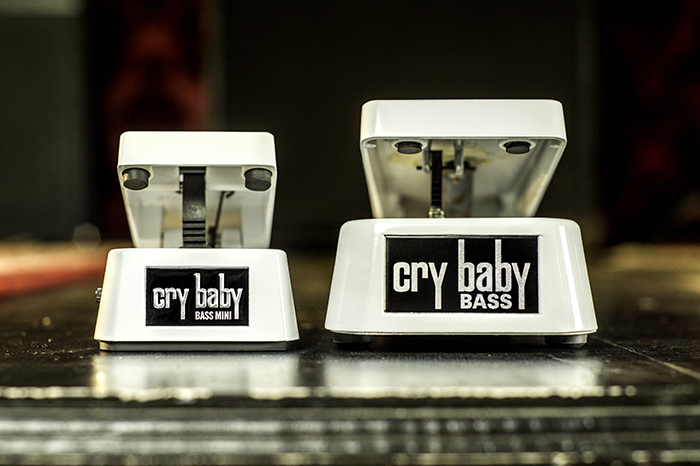 Pick up a Cry Baby Bass Mini Wah at your favorite online or brick-and-mortar retailer today. Travel light and groove heavy. Don’t let its small size fool you—the Cry Baby® Mini Wah’s tones are just as powerful and expressive as those of its larger compadres. It’s built like a tank, and at half the size of a standard Cry Baby pedal, the CBM95 is perfect wherever space comes at a premium. Whether you’re trying to make room on a full-sized pedalboard or add authentic Cry Baby tone to your micro travel board, this pedal is a must-have. Senior Engineer and Cry Baby design veteran Sam McRae sat down to give us a run down of the Cry Baby Mini Wah’s sound, feel, and construction. Read on. How does the sound and frequency range of the CBM95 compare to the GCB95? Does it use a Fasel® Inductor? 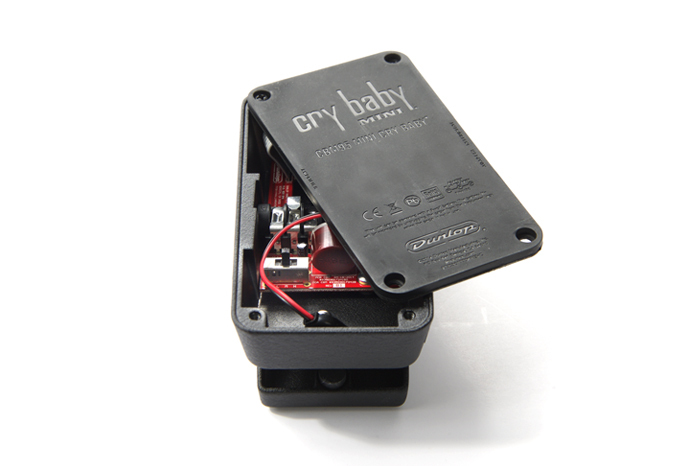 Sam McRae: The Cry Baby Mini Wah is indeed equipped with a classic red Fasel inductor, but it has three different frequency ranges, which you can select by removing the bottom plate and using the internal 3-position switch. The High setting (H) gives you the same sound as the GCB95. The Mid setting (M) gives you more of a classic or vintage sounding range, and the Low setting (L) gives you a darker sound. Basically, we took our three most popular Cry Baby voicings and put them into a housing that’s half the size. That way, you can get pretty close to the voice of your favorite standard-sized Cry Baby Wah and save pedalboard space at the same time. Does the CBM95 have the same physical sweep range as a standard-sized Cry Baby Wah? Sam: Yes, the physical sweep range of this pedal is the same as our standard-sized Cry Baby Wahs. What that means is the rocker can travel just as far in either direction, so you have just as much control over the behavior of the effect. Is there anything mechanically different about the CBM95? Sam: The potentiometer is a totally custom design that preserves the historical taper of the original pedal but while being scaled down to fit the smaller space. We employed the latest technology to give it exceptionally long life (greater than 3 million cycles), minimize noise, and retain the iconic Cry Baby sound. We also sealed it to keep out dust and any other particulates that might interfere with the wiper and the resistive element. We further reinforced the longevity of this pedal by designing the rack and pinion gears so as to provide a constant relationship between the rocker rotation and the rotation of the potentiometers shaft without any variation in the interface pressure. We designed the CBM95 for serious, rigorous performance—it’s not just a cute little afterthought. Who is the Cry Baby Mini Wah designed for? Sam: If you already use a Cry Baby Wah as part of your sound but you want to free some space on your board, or you’ve wanted to try a Cry Baby Wah but you were reluctant to do so because of the footprint, then this pedal is definitely for you. And even if space isn’t an issue on your board, this pedal sounds great in its own right. The three voicings make it very versatile.